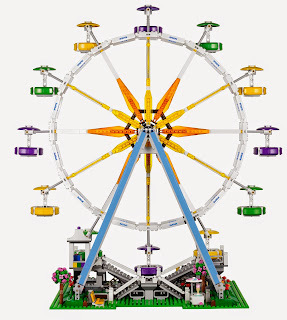 come with a ferris wheel. 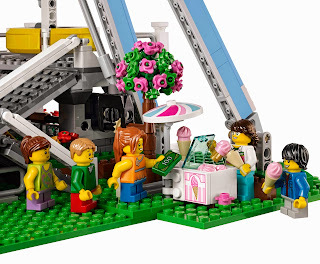 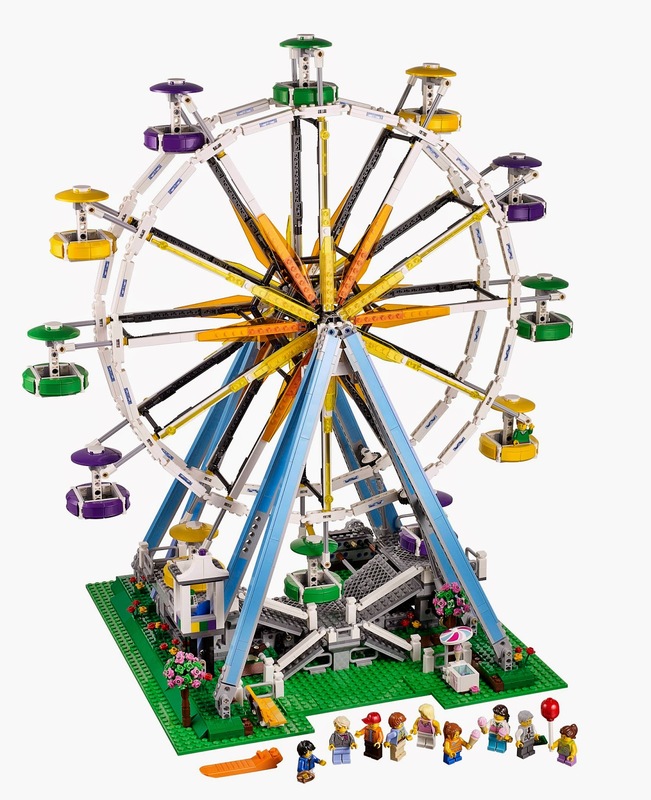 the ferris wheel included a ticket kiosk, an ice cream stall, a bench, flowers and trees, ramps, boarding platform and 12 colorful openable gondolas. 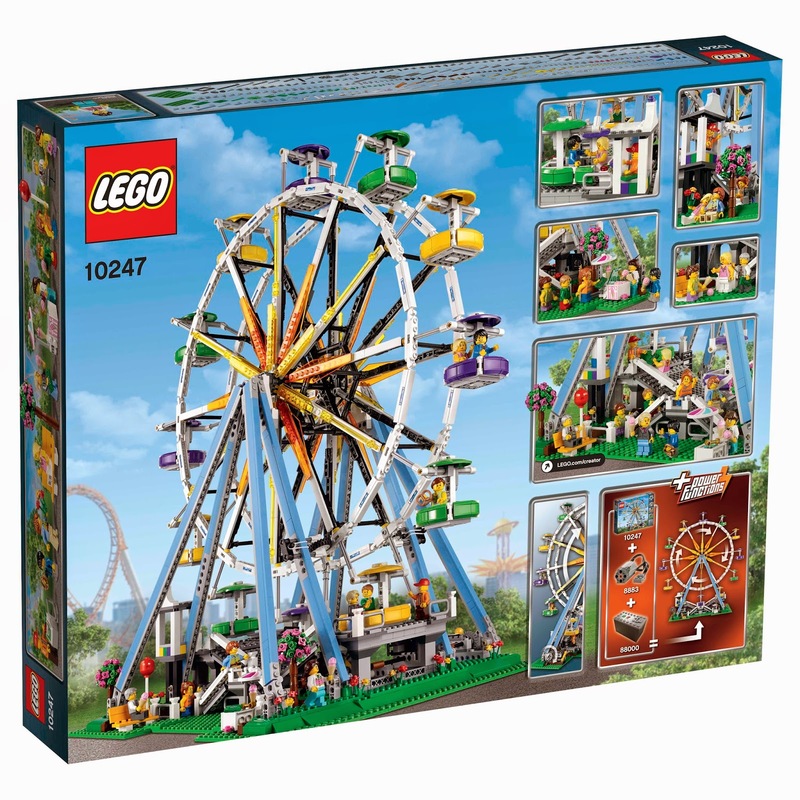 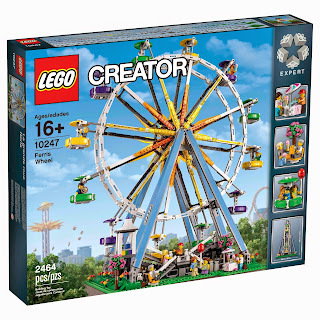 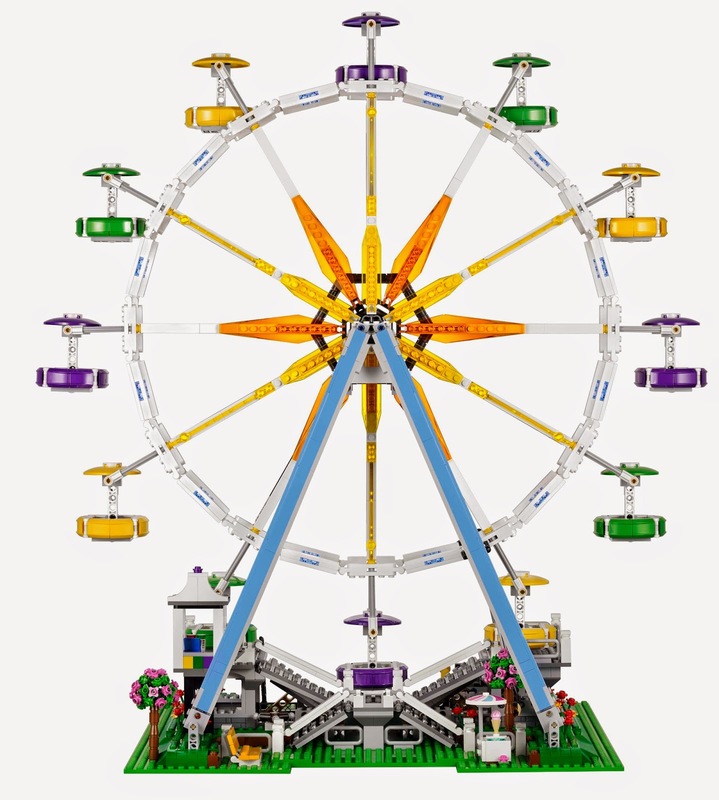 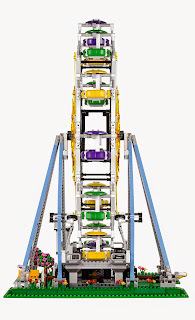 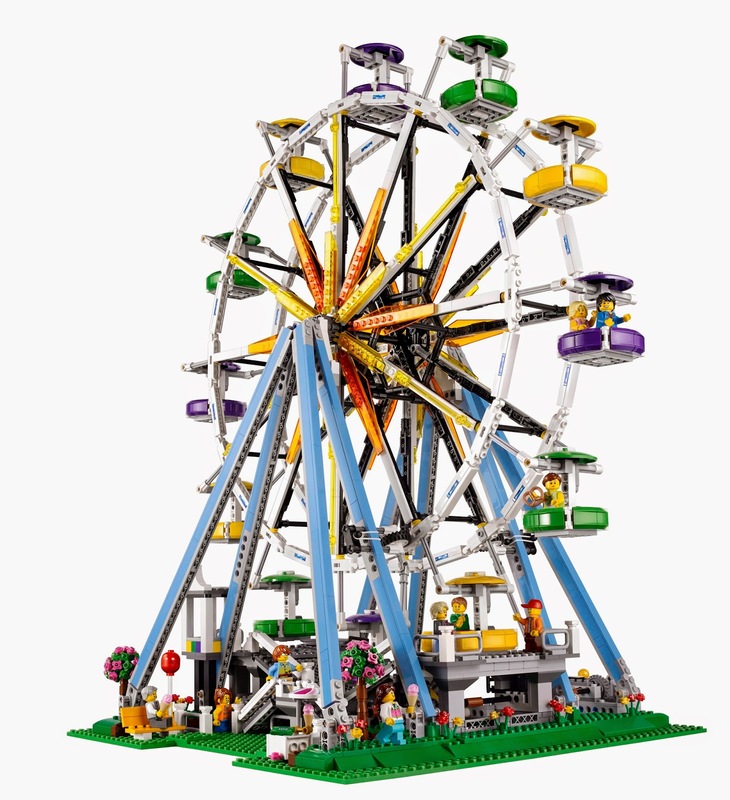 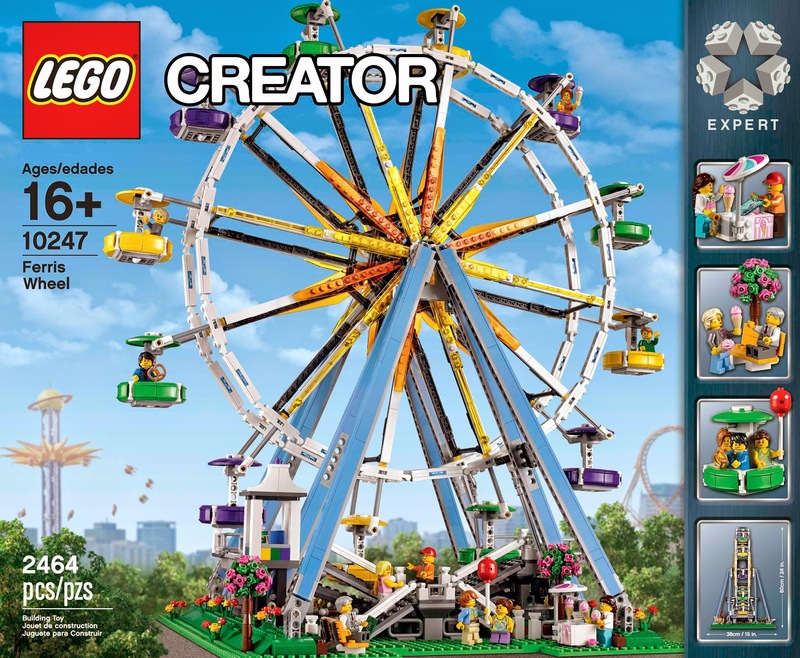 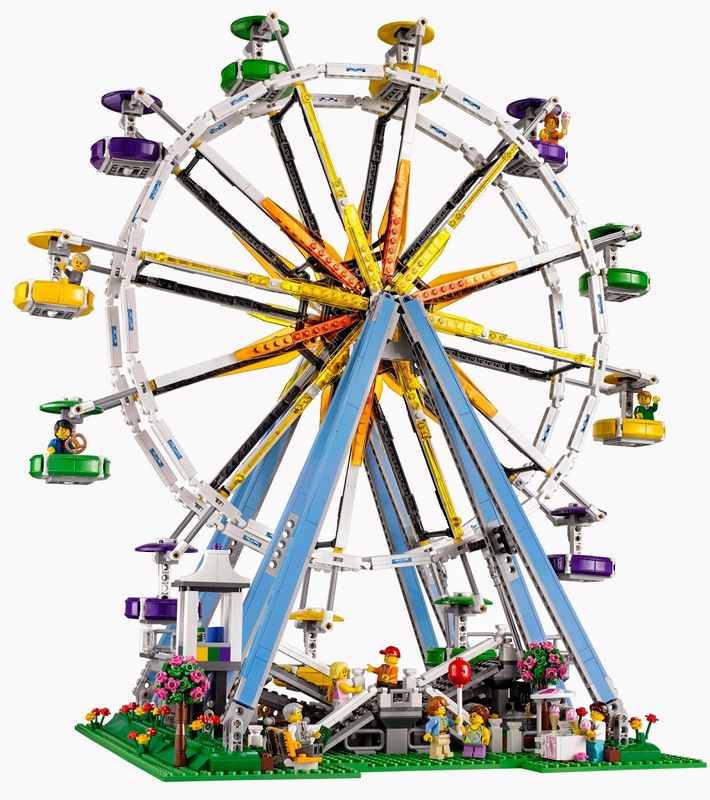 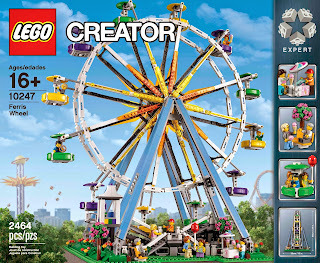 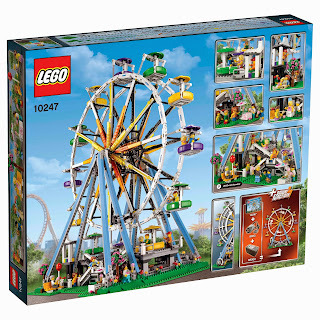 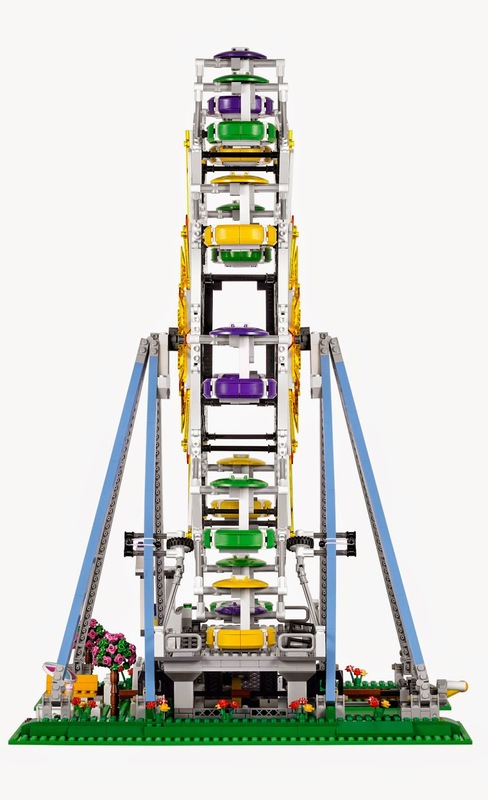 the wheel can turn with manual crank or combined with 8883 LEGO® power functions M-motor and 88000 LEGO® power functions AAA battery box. 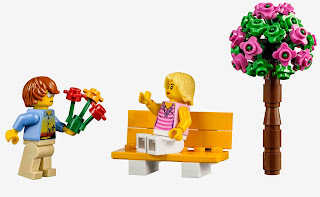 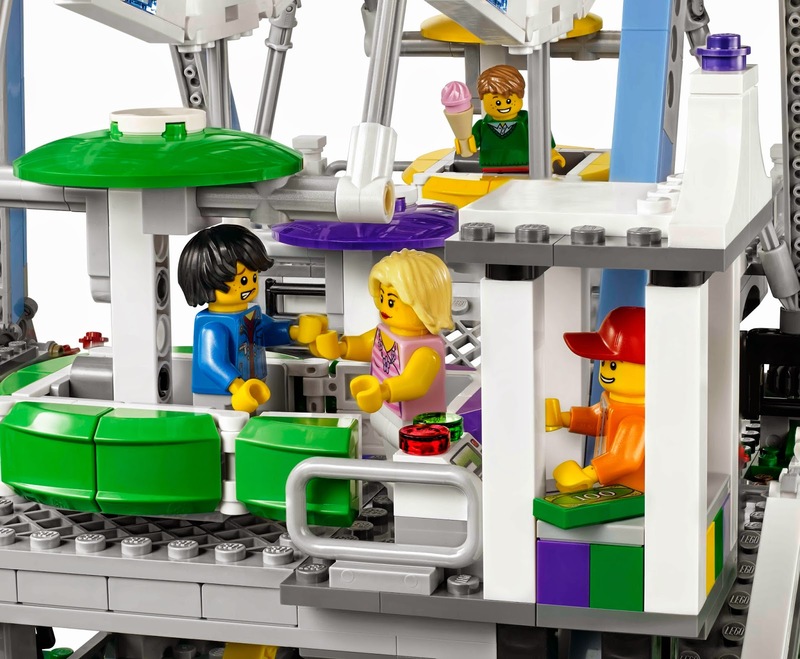 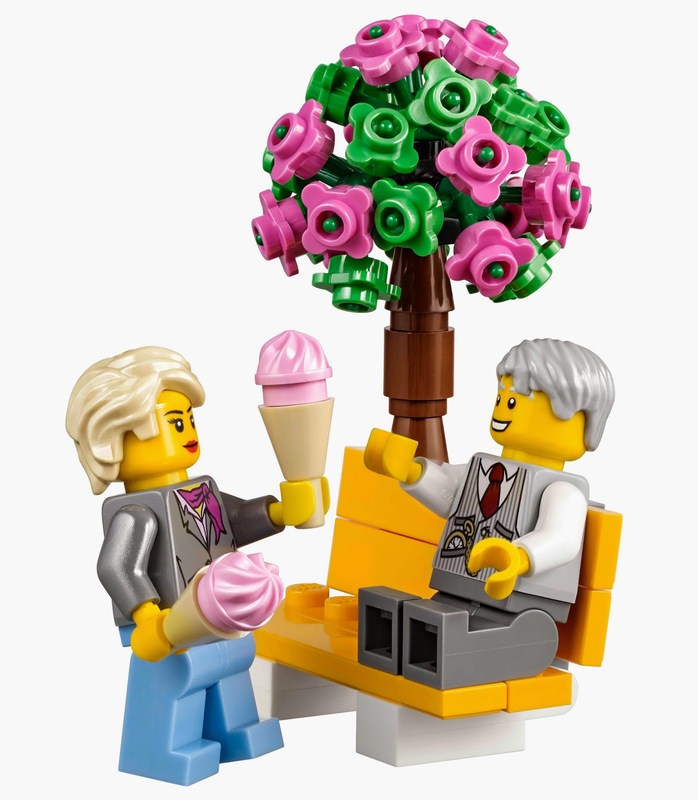 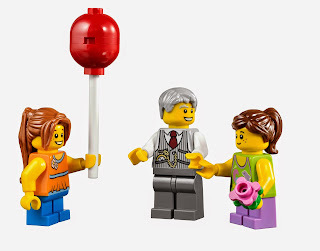 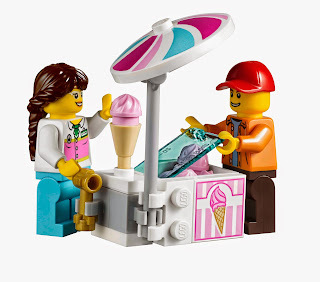 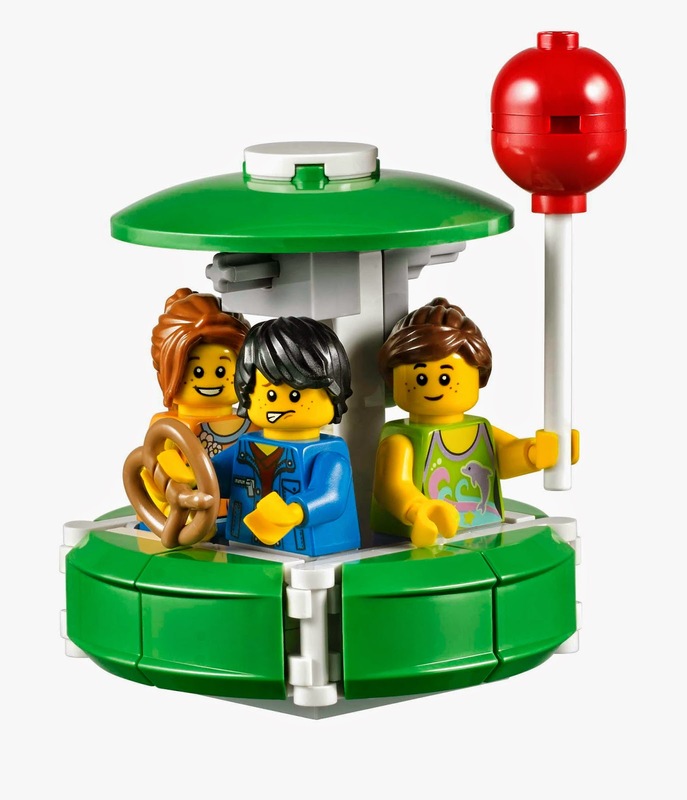 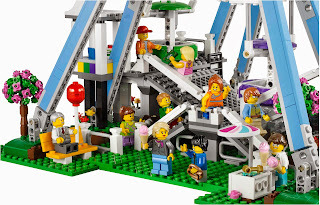 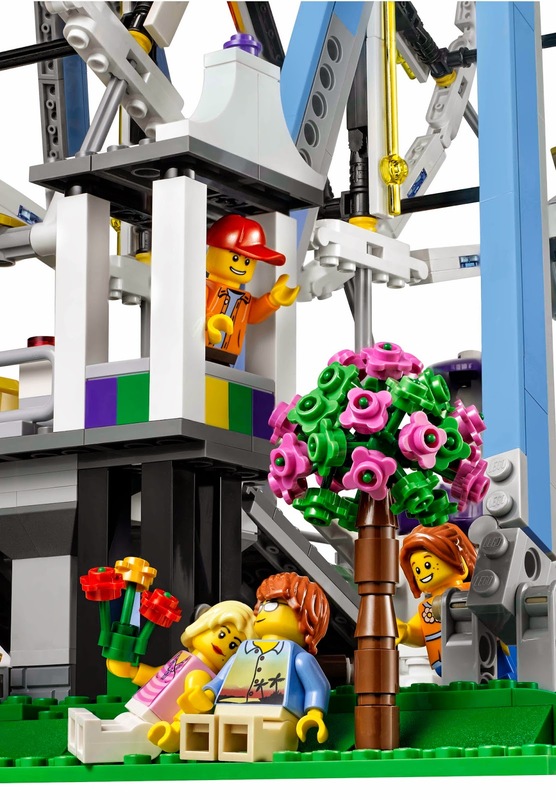 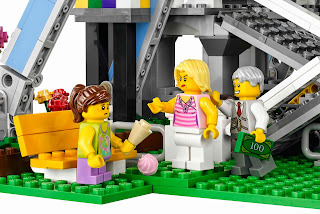 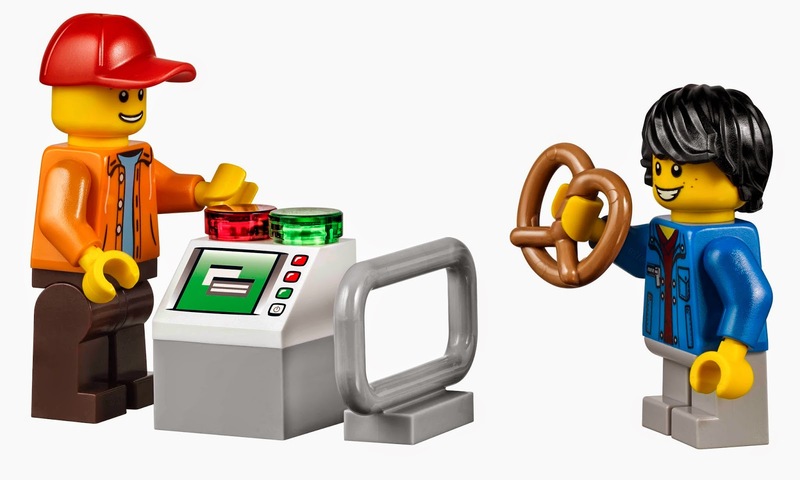 minifigs included a ride operator minifig, an ice cream vendor minifig, 4 children minifigs and 4 adult minifigs.